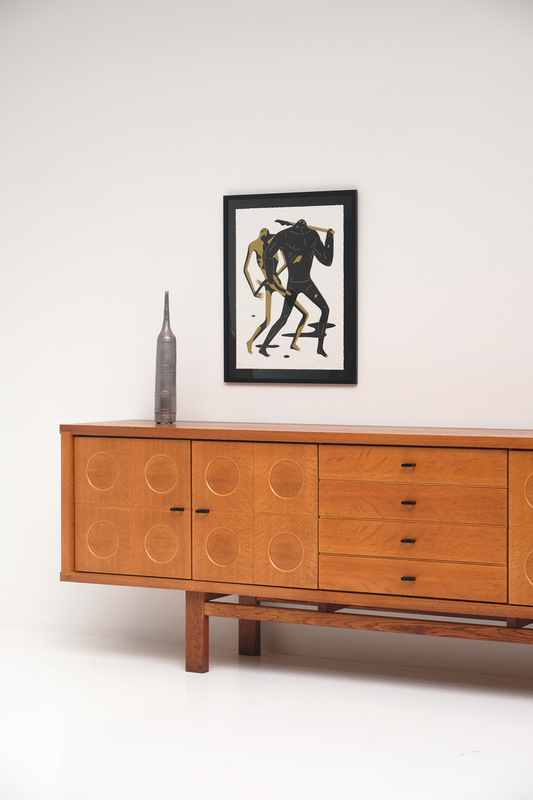 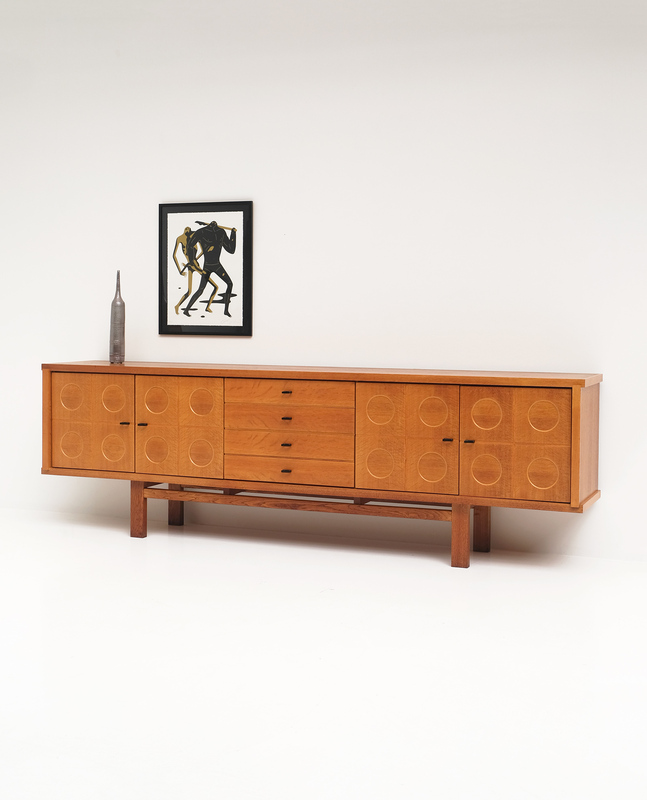 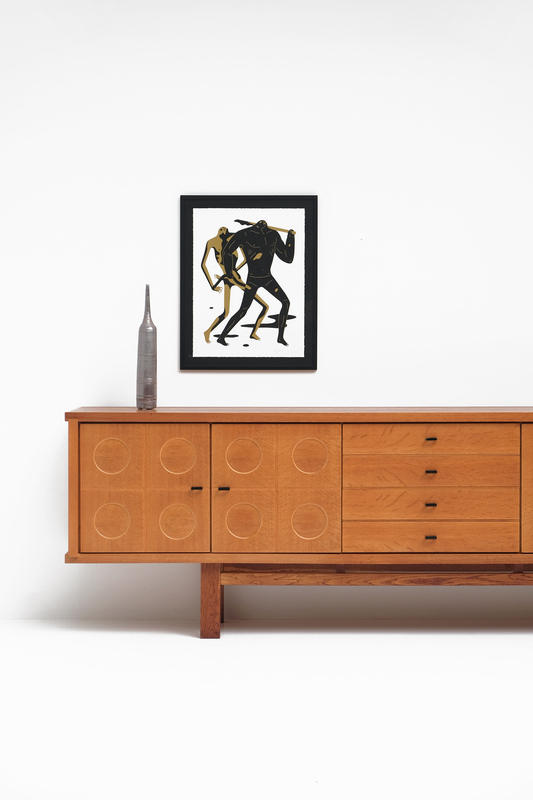 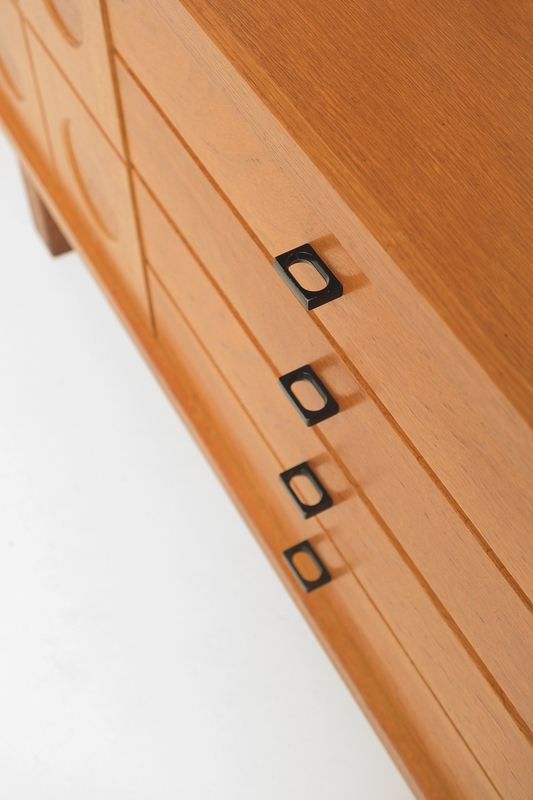 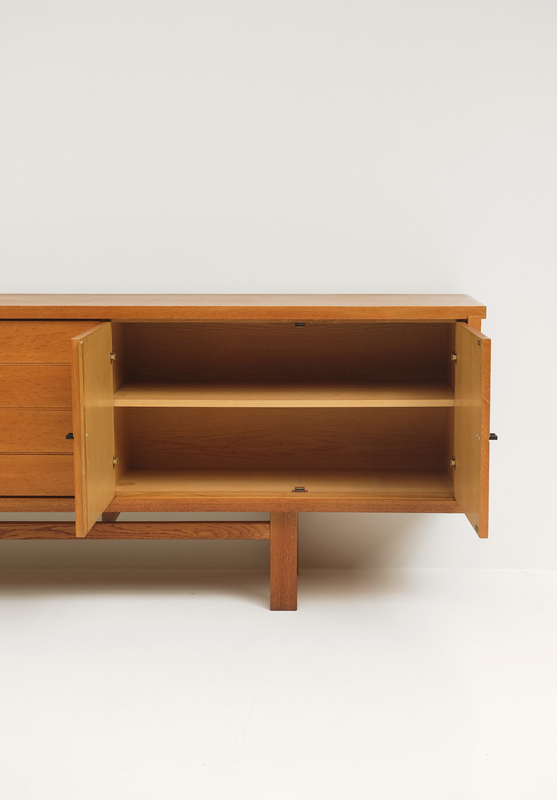 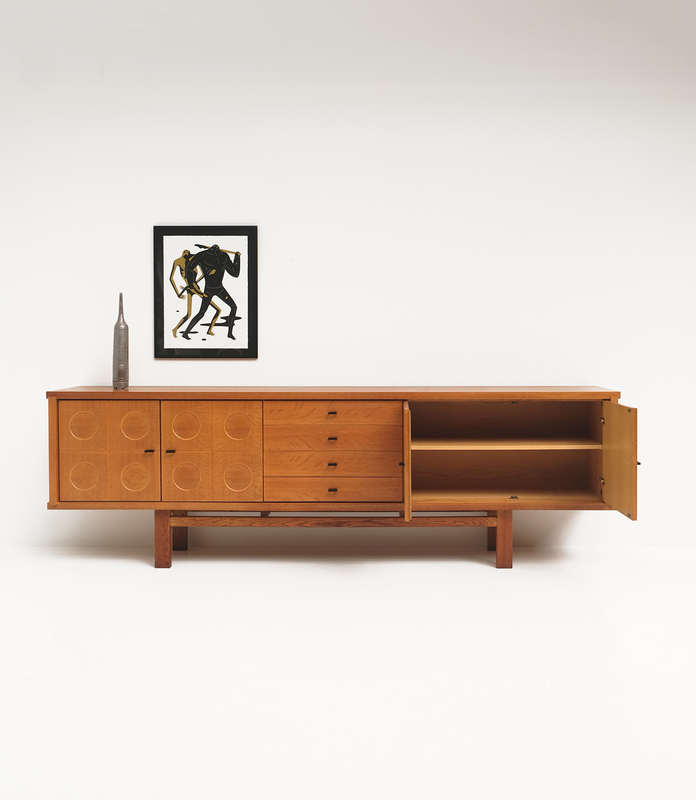 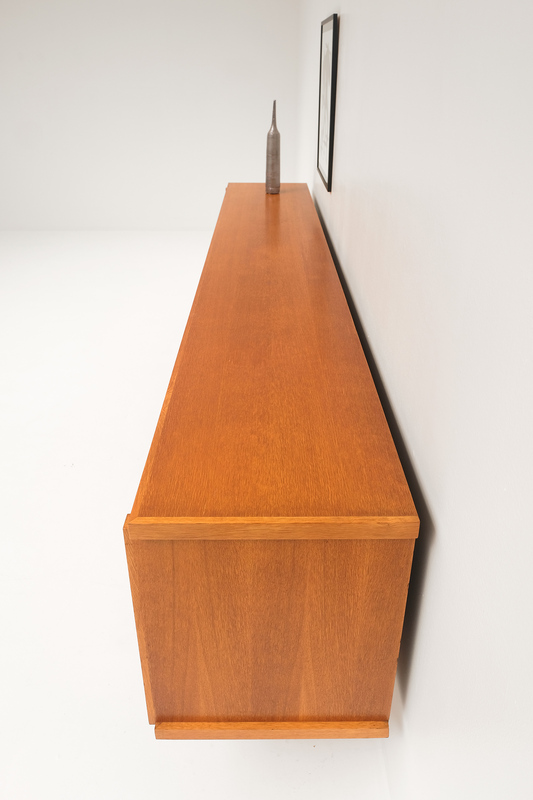 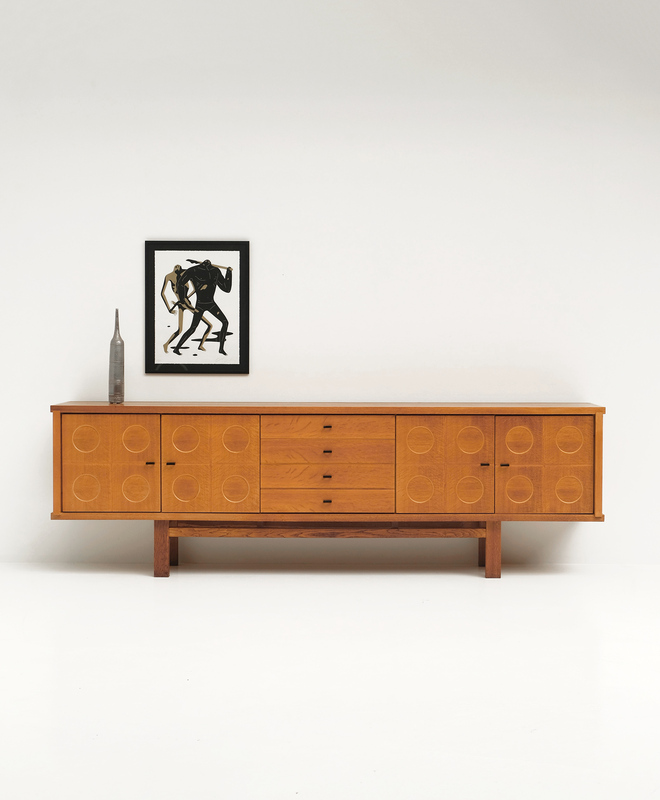 Graphical sideboard made out of natural light oak. 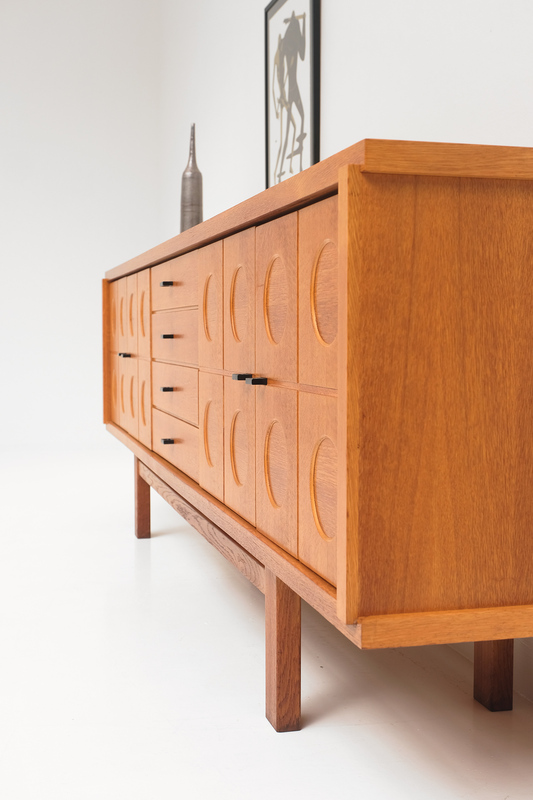 The symmetry of this design combined with the graphical pattern on the doors is adding a brutalist expression to this sideboard. 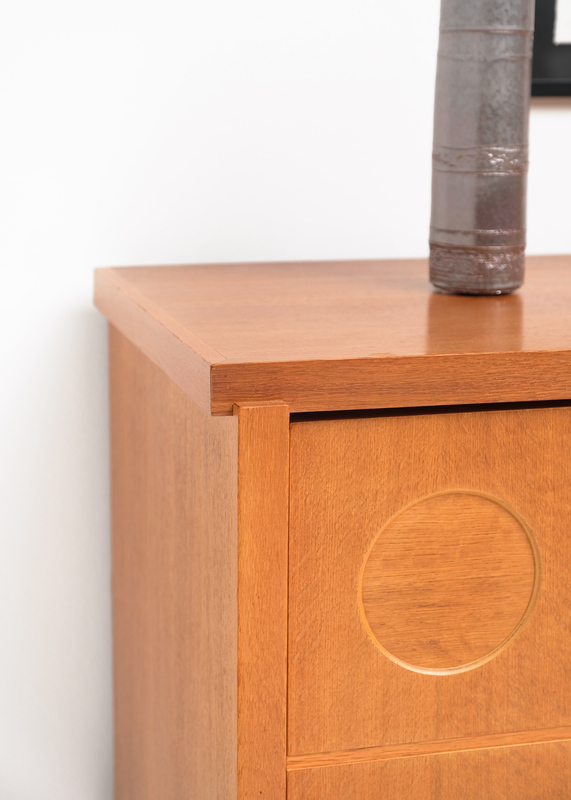 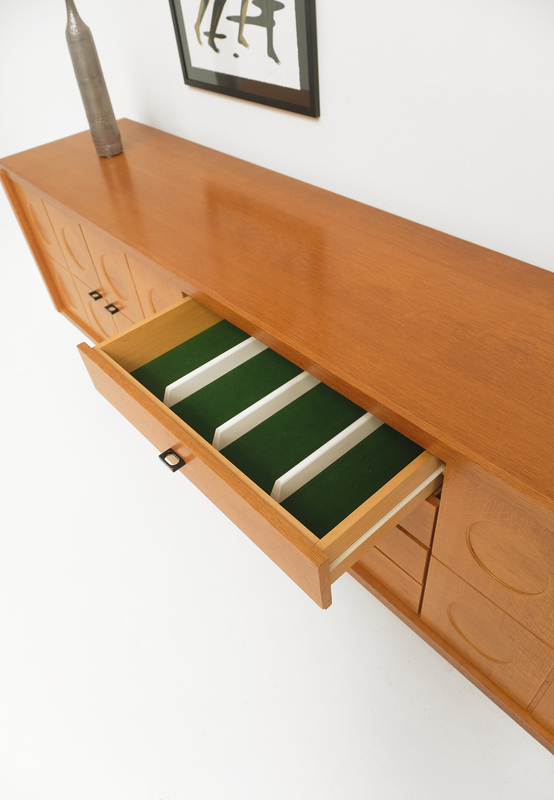 It contains plenty of storage with shells on the inside and 4 drawers in the middle. 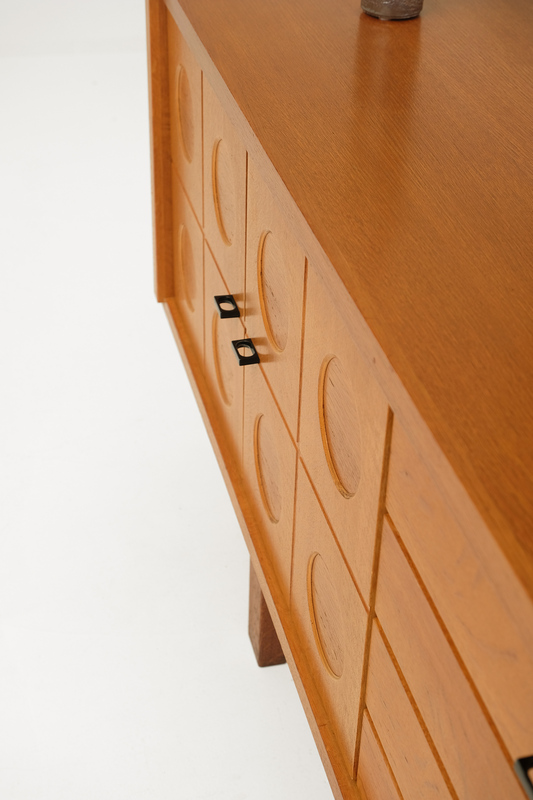 A highly decorative furniture that is unique by its natural color and design.